Monday, December 3, 2018. Halifax – Twenty-eight environmental groups and seafood companies are together expressing concern over the introduction of genetically modified (GM or genetically engineered) salmon in Canada and calling on the Minister of Environment and Climate Change (ECC) to ensure precautionary and transparent regulation of GM fish. A joint letter signed by 21 environmental groups and 7 seafood companies in Canada is calling on the Minister to ensure better regulation of GM fish and establish mandatory GM food labelling. “Without mandatory labelling of GM salmon, we risk undermining consumer confidence in Canadian seafood,” said Franz Perrot, Quality Control Manager at seafood importer Lagoon Seafood. The Minister could soon grant permission for the company AquaBounty to produce its GM Atlantic salmon at one or more on-land sites in Canada. A review appears to be underway for multiple locations, not identified for the public. 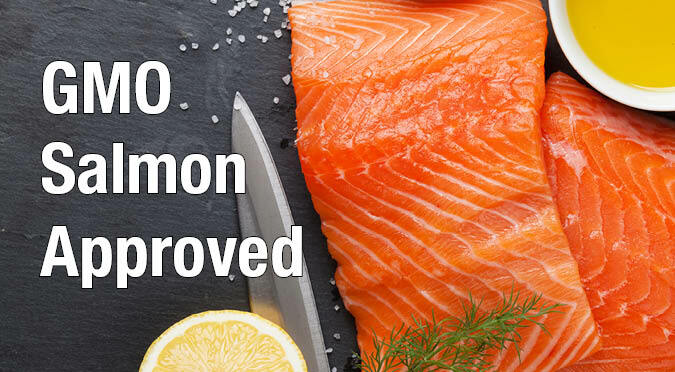 The GM salmon is approved for eating in Canada and has been on the market unlabelled since the summer of 2017.